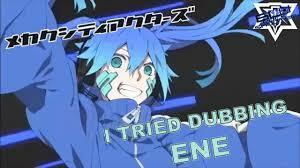 Where online can i watch Mekaku City Actors Anime in english dub? ^What Neko said. The Anime will probably be gepostet on Anilinkz.com. I am not sure though. I'll change this if it's not gepostet on there. The Anime did come out on Anilinkz but only the raw version. The english subs will come out soon. It is also coming out on Crunchyroll.